The most successful manager in Barcelona's history improved his own record by winning the 2011-12 Copa Del rey title. 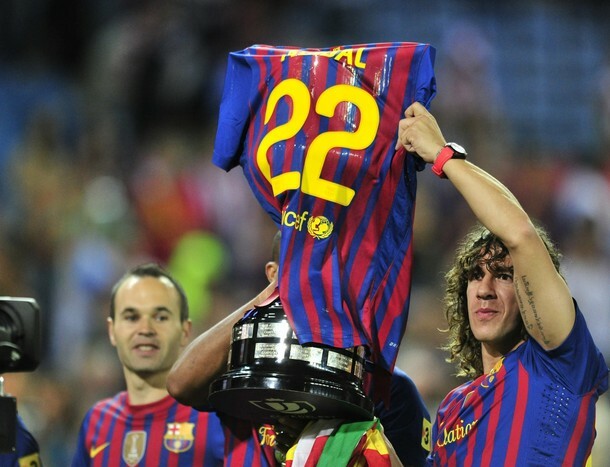 This was the 14th title under Guardiola for FC Barcelona and was a great parting gift to the manager. Two goals from Pedro and one from Messi in the first half sealed the title for Barca, This was Barcelona's fourth trophy of teh season having won both Super Cup and Fifa World Cup in this year. Xavi Hernandez lifted the trophy after a lot of convincing from Puyol. Guardiola lined up with Pedro, Messi, Sanchez, Iniesta, Xavi, Busquets, Adriano, Mascherano, Pique, Montoya and Pinto for his last match as Barca manager. Biesla went with a starting line up of LLorente, Muniain, Susaeta, Ekiza, De Marcos, Ibai, Aurtenetxe, Amorebieta, Martinez, Iraola and Iraizoz. 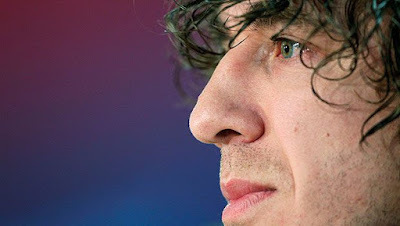 FC Barcelona medical team has confimred that Carles Puyol, the Barca Captain will be missing this Summer's Euro 2012 due to a knee injury. Our Captain Caveman will most probably have to undergo surgery when his national team colleagues will be trying to defend their title in Ukraine and Poland. The absence of Puyol from the squad will be a huge blow to Del Bosque's teams chance of successfully defending their title. Already leading betting agency has increased Germany's odds following Puyol's injury report. Betfair's Euro 2012 Betting odd have Spain still in number one position with a 3.82/1 odd but Germany at 4.33/1 represent looks like a real force especially after Puyol's injury. If David Villa is not declared fit and misses from the squad, Spain will have a huge deficit in experience and skill in two of the most important areas. If the injury was to a midfielder, Del Bosque wouldn't have cared much; but defense and attack(especially with Torres form) is a bit stretched at the moment. Even though Puyol's injury is a disappointment, Barcelona fans won't mind much. They would like to see their Captain coming back from injury after getting enough time to recover next season than make his situation worse in Poland and Ukraine.